hCG sensitivity level: The most sensitive is the best. 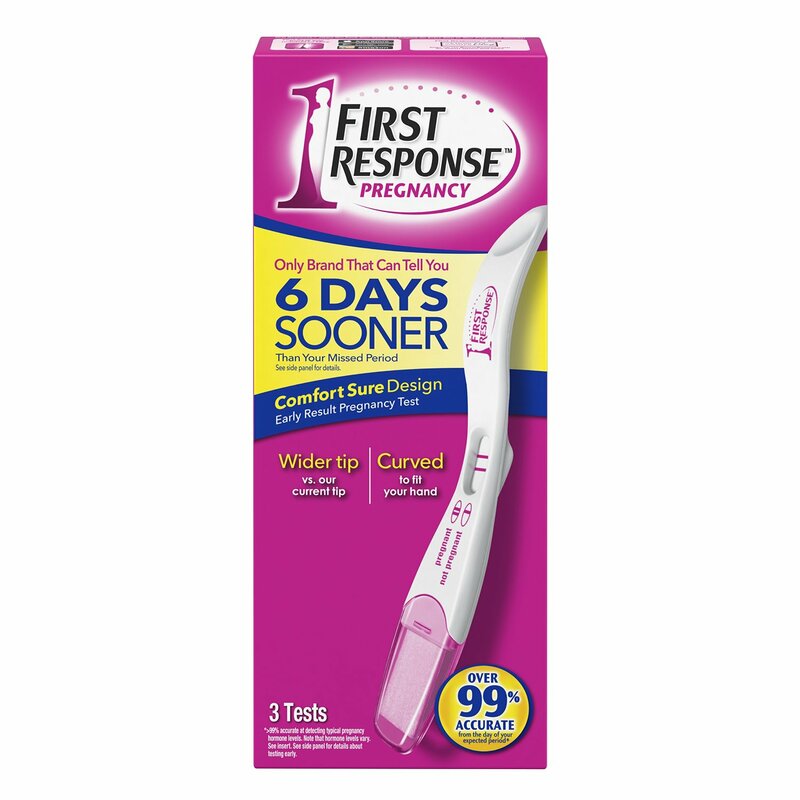 The winner here is First Response Early Result Pregnancy Test. User satisfaction: The highest-rated on Amazon is the best. The winner in this category is Easy @Home 25 Pregnancy (HCG) Urine Test Strips. Google search volume: The brand with the most searches on Google, which is the most popular search engine, is the best. The winner here is Clearblue pregnancy tests. In the When To Take A Pregnancy Test article, we see that First Response Early Result Pregnancy Test has the best hCG sensitivity, able to detect hCG level at 6.3 mIU/ml. Most other pregnancy tests can detect hCG at between 20 to 50 mIU/ml. Whether users are happy with the pregnancy test is another important element. For example, if users find a certain pregnancy test difficult to use, it doesn't matter if it has the best price or can detect hCG at very low levels–That test cannot be viewed as "best." User satisfaction, though, is not something that can be easily quantified scientifically. We decided to use Amazon's user rating as a proxy for the highest user satisfaction. To make sure the data is not skewed, we only included products with at least 500 reviews. Based on these, Easy@Home 25 Pregnancy (HCG) Urine Test Strips is the winner. ClinicalGuard® HCG Pregnancy Test Strips is a close runner-up. Pregnancy tests are available at local drugstores or grocery stores, and they typically cost between $8 and $20 for a 2-pack or 3-pack, meaning that the cost for even the most expensive pregnancy test is no more than $10 each. There are cheaper pregnancy test strips online that sell for a lot less on a per-unit basis. For example, you may find a 50-count test strip package being sold online for $20, meaning that each test strip only costs 40 cents. 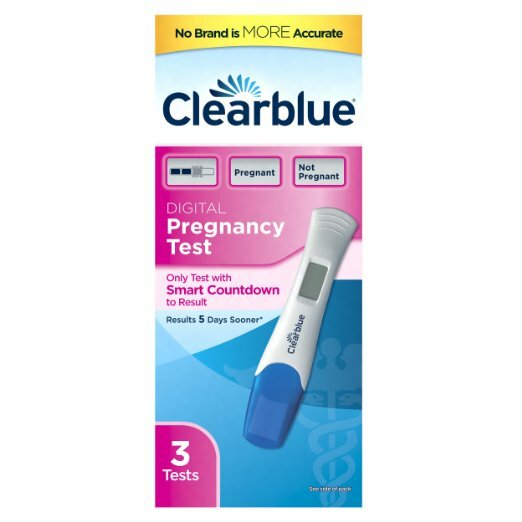 The main difference between the cheaper pregnancy test strips and the name brand pregnancy tests is that with the test strips, you need to first urinate into a cup and then dip the test strip into the cup, whereas with the name brand pregnancy tests, you typically urinate on the absorbent tip of the test stick. Alternatively, you may urinate into a cup, and then insert the test stick into the urine so the absorbent tip touches the urine. Are pregnancy test strips any good? In terms of the ability to measure hCG, the cheaper pregnancy test strips are as effective as the more expensive name brands. This is especially the case if you do your pregnancy test several days after your missed period, when hCG level will be high enough so that any test strip can report correctly. On the other hand, if you are testing early, for example, 3 to 4 days before your expected next period, pregnancy test strips may be less accurate than the name-brand test sticks. Another thing to note is the Amazon user ratings. Whereas the highest-rated test sticks typically receive a rating of 4.0 stars, the highest-rated test strips have a rating of about 4.5 stars. This shows that users on average are more satisfied with the best pregnancy test strips compared to the best pregnancy test sticks.